There’s no shortage of pundits in the YouTube cryptocurrency scene. Some investigate ICOs, others agonize over financial graphs, and others put their own spin on the news of the day. But it’s not – how shall I say this – the most egalitarian landscape in terms of intelligence (or entertainment value), so allow me to exhibit my “proof-of-having-watched-lots-of-YouTube” and tell you which ones are actually worth following. I respect Sunny’s hustle – the guy puts out content every day, but it’s hard to forgive him after he was exposed for being a paid ICO shill. While I never get the feeling that he really knows what he’s talking about, Sunny can be mildly entertaining depending on the topic. “K-dub” strikes me as dangerously naive (I can’t think of a single ICO he hasn’t described as “very cool”), but he’s got a friendly disposition and I enjoy leaving his voice on as background noise. Crypto Zombie is not technically knowledgeable in the slightest, but the kid’s got enthusiasm. This guy focuses almost entirely on technical analysis, oftentimes buying what he must know to be shitcoins only because he believes the charts indicate they’ll appreciate soon. A smart kid, though. Datadash has a large enough following to make a split-second cameo in John Oliver’s piece on cryptocurrency. 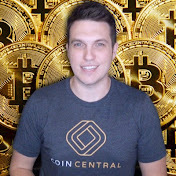 Truth be told, I prefer Datadash less to other crypto YouTubers since his videos are often long slogs through charts and candlesticks, but he does have one of the more pleasant voices out of the people I’ve listed. I only recently started watching this guy’s content after seeing his face retweeted all over the place. A physics PhD dropout turned entrepreneur, Ryan has become perhaps the best Bitcoin Cash spokesperson out there. Unlike many on his side, his “big block” arguments are refreshingly free of name calling and hysterical rhetoric – and more importantly – rooted in the actual computer science. Definitely check out his channel if you want a nuanced understanding of the Bitcoin/Bitcoin Cash debate. One of the Bitcoin OGs. Seems to know as much about Bitcoin as any one person can. His videos are often deep dives into technical minutiae, but his maturity and passion make him an essential watch. I enjoy watching Ivan’s “Good Morning Crypto” news recap every day. He’s a smart, savvy kid with a great attitude. One of the few crypto YouTubers with actual blockchain programming ability. An eccentric weirdo who often arrives at moronic conclusions despite his clearly expansive intellect. From what I can tell, Richard Heart is a multi-millionaire hermit currently engulfed in some kind of nihilistic, blackpilled mental hellscape. However, he’s one of the few pundits who knows as much about technical analysis as he does about fundamental analysis. He’s not afraid to dive into petty drama, too, which is part of what makes his channel so damn entertaining. And unlike most crypto YouTubers, Richard Heart actually has the finance, economic, business and computer science chops to tear his opponents apart. Trust me, you’ll never THINK about buying IOTA again after listening to him. Back in 2013/14, when I first started learning about bitcoin, my go-to source of new knowledge on the topic was neither YouTube nor the dregs of /biz/, but rather a podcast called Let’s Talk Bitcoin. 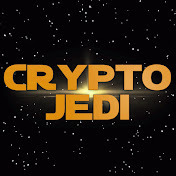 I have memories of listening to one episode after another, heading further and further into the backlog, excited about my growing understanding of cryptocurrency. But the last year has seen everyone’s interest in cryptocurrency – my own included – burn bright yet again. And this time I don’t feel like the passion is going to die down any time soon. Andreas Antonopoulos never left my Twitter feed in all those years, so when the world-renowned blockchain expert and Let’s Talk Bitcoin co-host tweeted that his podcast was celebrating its fifth anniversary in nearby Chicago, I decided to buy a ticket right on the spot. I entered the venerable Music Box Theatre donning my Litecoin hoodie. Part of me wondered whether that would be seen as provocative at the Let’s Talk Bitcoin show, but no negative comments came my way. The evening’s agenda was a potpourri, starting with a musical performance, followed by a talk by Andreas, and then concluding with a live recording of the podcast. That episode is live now, so I suppose you can listen to it yourself to glean some of the same knowledge in my notes below, but I figured I would share my notes from the night. Some of these are quotes from a speaker, and others are my own thoughts, inspired by what I was hearing. Bear markets are when things get done. All Coinbase can do when tens of thousands of new users sign up every day is deal with the onslaught of customer support needs. Now that the hype has cooled, they – and other companies in this space – can return to building their products. No one coin will do everything. You can be the optimal payment coin but to make that happen you probably won’t ever be the optimal smart contract coin as well. The most optimally evolved sea creature is not also the most optimally evolved air creature. Learn to code for the blockchain! Contribute! Build something!